- Last version now contains a proper optimizing of exported models, the same way plaything does it by merging nearby vertices that have similar uv data. Saves a bit of file size. WIP release nr7 - 2015_01_29 - Model optimization integrated into the exporter. WIP release nr5 - 2013_01_31 - lots of changed... it just better, but not done though! WIP release nr2 - 2012_04_23 - you can setup your car now! - fixed all links to the images and downloads. 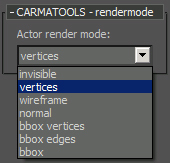 - A scriptpack for 3ds max designed to make the life of carma modders easier. 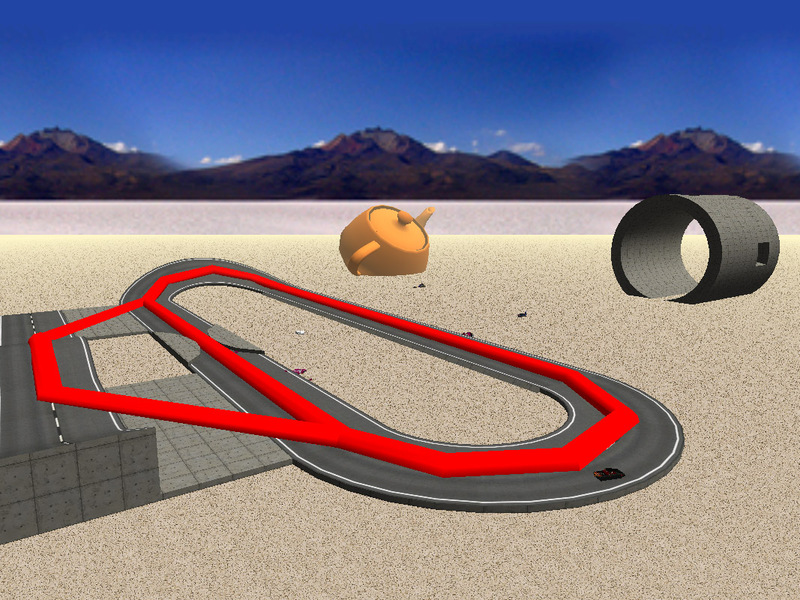 The pack currently contains the track setup and track exporter scripts. With it you do most of the track setup for carmageddon 2 and also export the track directly to ACT, DAT and MAT files, ready to be used by the game. Unfortunately, preprocessing has not been scripted (yet) so pedestrians and smashables will not work. The Car setup and Export scripts are still in very early WIP, not ready to be used yet, so they will be released in a later stage. The scriptpack is compatible with max 2010 and up. First priority for the time being will be to bring back compatablility down to max 8.
unzip to your main 3ds max install directory. 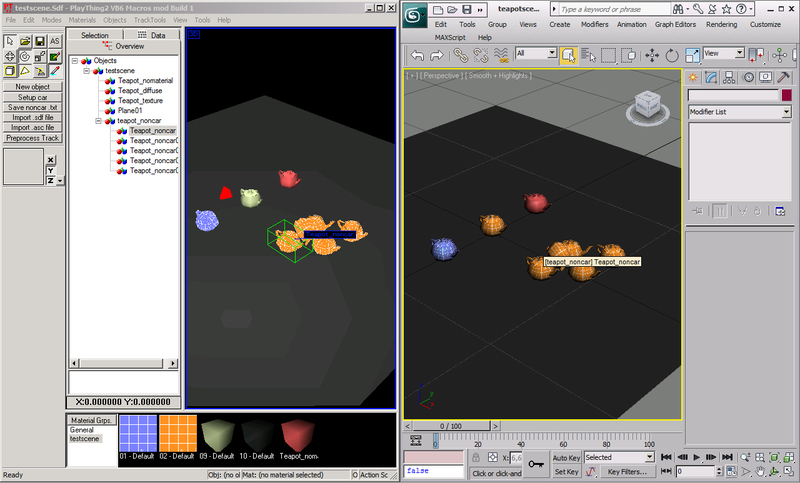 Run the "Carmatools_launcher.ms" via 3ds max. It will install the macro-script. From there, you can add buttons to a custom UI toolbar, found in the Carmatools category. When the tool launches it will enable you to setup different object settings. The object settings will become part of the objects in max, or in other words, the objects will contain extra properties in the edit mode. The rest is rather self explanatory. Creating the script has been one big learning experience for me. Off course this is a WIP and it is not flawless. Please report any error you encounter, perhaps with a screenshot, or a brief explanation of the situation. You can place your findings in this very topic. As I said, I will be focusing on compatibility and finishing the track tools part. After that, I will add proper car setup and export tools. This whole pack will be presented on it's own website, which will contain help files and possible tutorials. Last edited by Harmalarm on Wed Jan 16, 2019 12:47 pm, edited 14 times in total. Anybody who has access to a recent version of MAX should really have a look at this! I feel like Harm fails to share the excitement this is supposed to create! Once this is complete, we'll have a professional WYSIWYG dev tool to create tracks VERY easily. 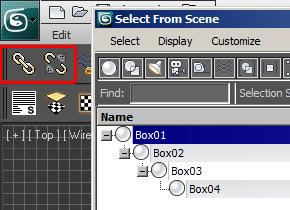 Imagine placing NONCARS or setting up GROOVES directly from within 3dsMAX. No need to struggle with PT2's goddamned rotating tool or its actor quick resize etc! Okay, maybe some images with a brief explanation of the functions will help to get this show on the road! Main track setup rollout. Here you can set the properties to the global track model, or apply certain properties to specific objects, such as grooves or noncars, or to materials such as funks and pedestrian specifications. Groove Properties visible in editmode when applied to a groove object. Grooves are the animated objects in C2. Their physics are not animated, so you cannot use them for funky contraptions. 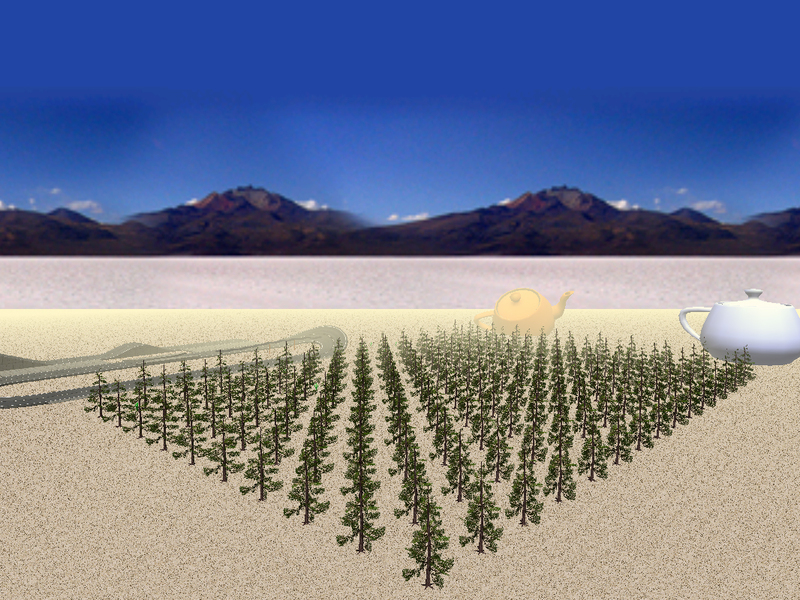 Environment box properties. You know, the box in which you can set different gravity, sky color or sounds ;) The env boxes can be places with two mouseclicks. Simply change some variables, and you are done. Ped Spawn properties. The basics for ped spawning are there. Unfortunately, the script cannot preprocess the track (yet). You can still use this, and do the preprocessing in PT2. Last edited by Harmalarm on Wed Jan 16, 2019 12:27 pm, edited 2 times in total. Am no modder - but Harmalarm you've done an awesome job creating such tool !! One of the render modes is complete invisibility. If you do this for a mesh, does it still tax the frame rate, and can it be collided with? I was wondering if this could be used to separate visuals and collision, especially if you have a mesh that is both curved and sloped, and should be very, very round, in an already detailed surroundings. I've been working mainly on the car setup pack last weeks. Apart from the Smashables and funks, our cars can now be setup completely within max. The pack will generate an ACT/DAT/MAT file for the car, it's simple model and shell model. You can export your car's txt, with all the references needed and a Wam file. Both TXT and WAM files are based on the properties you set on the objects within the max file. I hope to have some new downloads ready within the coming week, just to let you guys play with the new stuff I made. About the four level deep hierarchy: how do you achieve that? 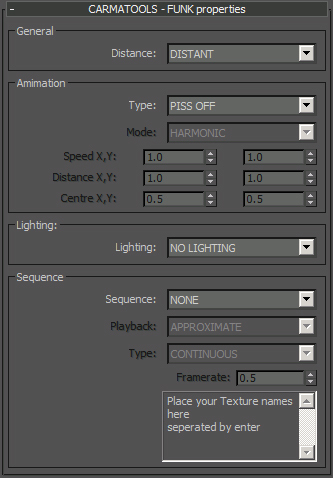 Does the script automaticaly add dummies to make sure the grooves etc follow the hierarchy? in this example I linked box4 to box3, box 3 to box2, box2 to box1. The hierarchy tree will built itself up. It is a drag a drop feature of max. Click the first object, drag the mouse to the second object and release it to make it a parent. to use empty parent objects for c2, you can use the dummy helper object. The script will recognize it and us it a s an empty parent. And yes, the car setup automatically adds dummies. 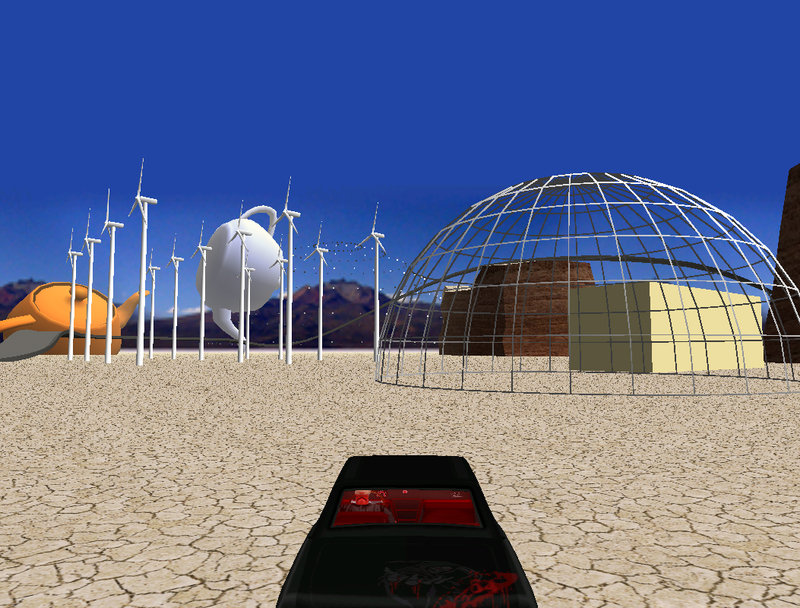 Basically you set the main car object and the wheels, steerable or not. The script will build the hierarchy based on those selected objects. If you want to add extra wheels, suspensions you can do so in the groovyfunkref section of the script. BTW, what do you guys think of my new logo's? Last edited by Harmalarm on Wed Jan 16, 2019 12:32 pm, edited 1 time in total. - Closed splines with "turn to poly" modifier applied (e.g. grass areas of custom shapes). There are other issues with 3ds max that I came across in the last months. The box object for example. I encountered problems with it before when exporting to GTA-SA. For some reason, 3 of the 6 faces were missing. This seems to be the case again for the C2 exports (even when using ase-->ase2asc-->pt2). :o It makes no sense at all, but it still happens. I think the canopy object you were talking about earlier had this problem... Usually if you edit the box a little, move some vertices and the likes, the problem is gone though. WIP cartools included in the pack! tool is not failproof yet, but there are numerous errors fixed down the line. The new exporter seems a bit more picky than the older one: I'm now getting the "x undefined" error (not sure yet which object is causing it), which I didn't get with the old exporter. I may have already asked this before, but is it possible to track the object it's trying to process when it faces an obstacle, and mention the object name to the user? Sorry about that. I have been fiddling with the object sorting, and apparently forgot to exclude several objects. I have already done some work on a export error log output. As soon as an object doesn't export properly, the script will output the objects name to the 'trackname_errorlog.txt' and it will export a simple box model as replacement for the faulty object. This way the track will always export, and can always be run, and it will tell you what went wrong. - bitmap-names cannot have more than 14 characters. I can make it so that the script will not inlcude the bitmap as soon as it breaks this rule. - I can log which objects will be skipped. Hidden objects, helpers, noncar setup objects, collision box object etc. - As soon as an actor has the invisible actor render mode set I will log that is will not collide. In your track, I noticed the errors occurred on the sewer curves and curb walk curve objects. 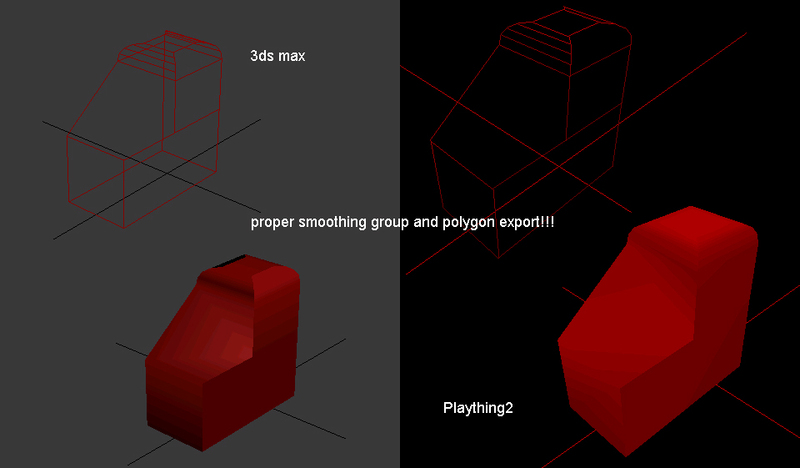 These objects had a stack of modifiers applied to them, which apparently makes the object unsuitable for export. It caused them to lack certain texture vertices, hence the error. double post! :p New quick release with proper object handling and errorlog file creation! Check the first post. I still have to fiddle with the line types though, so maybe that's something to look into at some point. In Maxblocks.max for example, I have to delete the line objects without "&", and convert the remaining line objects into editable polies. Not that the "&" character makes any difference here, it's just my naming convention where I put "&" in line objects which become actual 3D meshes after the modifiers do their magic. Otherwise the game complains about some objects having no faces or vertices (brmodelupdate error). - The coloured plane linked to the traffic lights in Max seems to be missing in the game. Did this work on your own export tests? - The curved concrete tubes are exported, but in the game, there's at least one of them located inside the parking hall, which is where the world origin is also located. I'll see if I can find anything useful about this. Ah yes, I found out about the traffic lights. I didn't add any hierarchy support for objects within a group! :( I'm on it! The 'brmodelupdate' error is awkward. To be honest, most of my testing is done in pt2. I should also do my tests in c2 as it shows, as it doesn't show in pt2. I will do some work on the script today. The model of the curbwalk showing up in the origin is part of a method I use for model exporting. I will need to change that method. I also hope to add spline/line to '2d line' model support today. I understand the problem you describe about the line type objects, it's more or less what I was thinking too. Separating the 'exportables' from 'non-exportables' with the "&" character works at least when sorting it out manually, but I'm not entirely sure yet if it would work in general. I assume the line rendering in C2 is different from the wireframe render mode. :) Does it really show up as a line, or does it have thickness (and if yes, what about the colors/materials/UV mapping/smoothing)? What about curved sections and the number of steps in Max? Do these carry over too? no, the splines will exported based on their points and segments only. As I said, it basically is a mesh with very thin faces, the number of steps are not taken into account. I have a drivable vehicle related bbox tip (originally shared by Chevy II) which I think isn't very widely known. I thought I would mention this here since you're constantly improving your car exporting script. That is, listing the vertices of the right side in reverse order. I've noticed that it does make a difference in the game on the vehicle physics. Thinking of your script, I guess it could be easy to handle this with bboxes created using a closed spline + extrude, but dealing with more exotic shapes might be too difficult. Anyway... FYI, food for thought, and all that. :) You can try it yourself if you like, and then decide whether it's worth investing any time into. Sorry about the lack of updates lately, but I have been awfully busy with real life business. I did however make some progress and still plan to put out a new wip release soon. I did notice before that it makes a difference in what order the points are written down. Especially on objects more complex it becomes tricky. I believe the bboxes written with my script are still correct though. I am currently almost done with integrating the smashable setup into the track and car tools. I just have to do some more testing, especially on the parts where the smashable uses external act/dat and mat files as shrapnels etc. In some cases though, at least for me, the script randomly writes the .99999 decimals. If you're unlucky, this can sometimes cause WOAS errors. Sometimes you get WOAS no matter what, until you make a change that makes C2 happy. However on the cars main bbox, the box type doesn't seem to work. UPDATED new WIP version uploaded. Probably one of the last WIP as I am aiming to go for a final next release! It seems when I use a division of 16 rows/colums thing are a lot more stable. Is this something generally known to happen? I haven't meddled with the preprocessing in a long time, so I could use some refreshment. It seems the game likes to handle similar track chunk sizes, so a big track needs a bigger division, a small track less divisions? The newsumo for example has only 2 rows/2 colums, while the airport map has 16 rows/columns. For now I will assume this to be correct. I also discovered that big noncars (bigger than a track chunk) still cause issues ingame :( I am afraid pt2 cannot preprocess these situations, simply because the game cannot handle it either... will test some more though! The second TSmooth wasn't necessary actually if I had put more time into retriangulating the whole mesh but heh! that was one hell of a test for the script apparently. Honestly it lags here with nGlide and some addons cars (yon might have been high, didn't check), but at least that's one good proof-of-concept. I must insist on the fact it went super smoothly. And I didn't even use PT2. Ah well, here's a pic showing the curves a bit. Hah, great to hear! I always thought the track could do with a better terrain, as it was 'blocky' as hell. I will give it a try this weekend. Did you need to drop some noncars back onto the terrain? You know there are scripts that can easily do this right? Did you preprocess it? I don't see any peds. At this point, Max freezes. Is the script able to preprocess my map on your system? Or are there additional steps required to make it work? Uh yeah, that's an old one sadly. I have uploaded the latest WIP stuff here. 1.unzip to your main 3ds max directory. 2.Run the carma_tools.mcr to make the macroscripts. Preprocessing is now done in the Race setup tool. Even so, the preprocessing doesn't seem to work propper on your map just yet. It does arrange a lot, and does a partial job, but there are still object that remain outside of the preprocessing tree... so you will have to be a bit more patient. I will be using your map as a test case here, to get the preprocessing flaws out of it, but it will take a little time before I manage to poop out a new version. I have too many projects, ARGH! Last edited by Harmalarm on Wed Jan 16, 2019 12:33 pm, edited 4 times in total. But it doesn't matter, since you say it doesn't work yet. Sorry to hear you're busy, but don't worry, and take your time. Ah crap, bad url. Fixed!